Our homes are built thanks to generous community support. 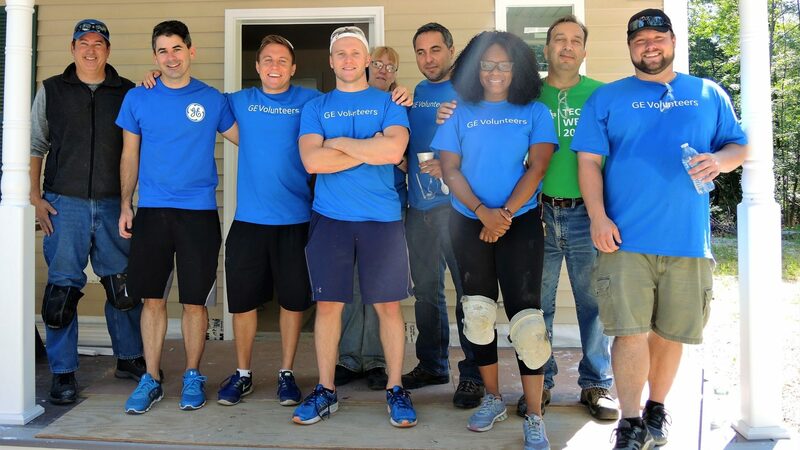 As a Home Build Day Sponsor, your group of 8 to 12 will have the opportunity to help build a home for a local family or veteran in need of safe, affordable housing. With no experience necessary, your team will work together and learn new skills, while actively improving the local neighborhoods that we know and love. To participate, sponsors are asked for a minimum donation of $2,500 which will cover materials, staff support, and help to build more homes, communities, and hope for local families and veterans! 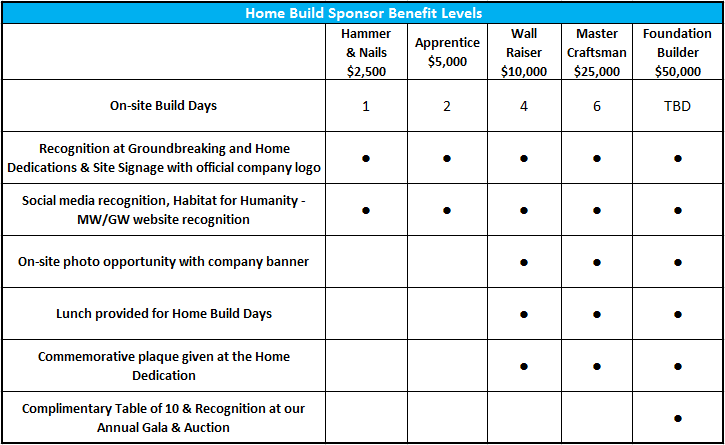 For more information ON HOW TO BECOME A HOME BUILD DAY SPONSOR, contact Deborah Huegel at deborah.huegel@habitatmwgw.org or by phone at 508-799-9259 x 118. Our service are where we build affordable homes includes: Ashland, Auburn, Barre, Boylston, Brookfield, Charlton, Douglas, Dudley, East Brookfield, Framingham, Grafton, Holden, Holliston, Hopkinton, Leicester, Marlborough, Millbury, Natick, New Braintree, North Brookfield, Northborough, Northbridge, Oakham, Oxford, Paxton, Rutland, Sherborn, Shrewsbury, Southborough, Southbridge, Spencer, Sturbridge, Sudbury, Sutton, Upton, Uxbridge, Wayland, Webster, West Boylston, West Brookfield, Westborough, and Worcester.